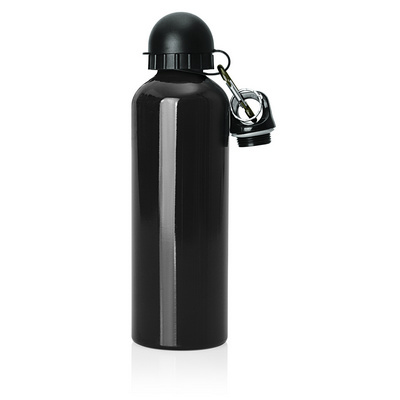 Description: Enjoy your favourite drinks on the sports field with these promo sports bottles. Featuring a lightweight and durable aluminium construction, including a BPA free liner and sports and carabiner lids, they are an excellent place to sport your client`s logo. Colours: Black. Materials: Aluminium. Decoration Method: Pad Print, Engrave. Price includes : Printed - 1 col, 1 pos. Setup is included.